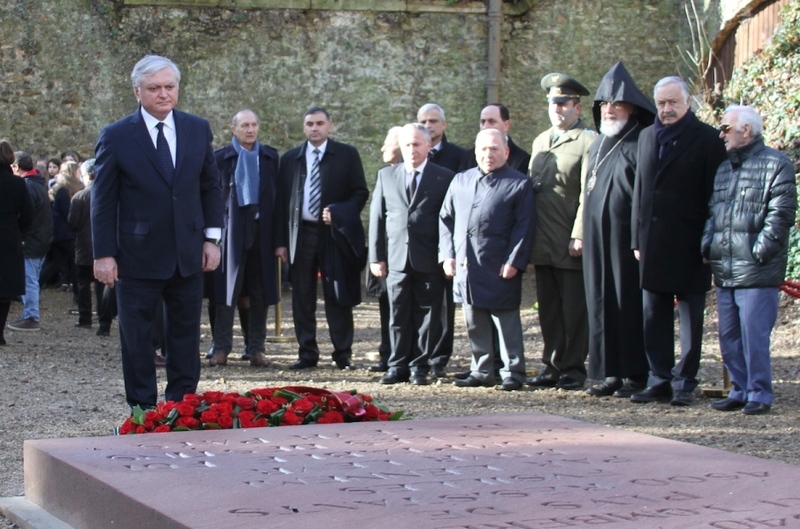 A commemoration ceremony dedicated to the 70th anniversary of execution of Missak Manouchian and his commanders by Nazis was held in Fort Mont-Valérien fortress in one of the suburbs of Paris. I joined the Army of Liberation as a volunteer, and I die within inches of victory and the final goal. I wish for happiness for all those who will survive and taste the sweetness of the freedom and peace of tomorrow. I’m sure that the French people, and all those who fight for freedom, will know how to honor our memory with dignity. At the moment of death, I proclaim that I have no hatred for the German people, or for anyone at all; everyone will receive what he is due, as punishment and as reward. The German people, and all other people, will live in peace and brotherhood after the war, which will not last much longer. Happiness for all … I have one profound regret, and that’s of not having made you happy; I would so much have liked to have a child with you, as you always wished. So I’d absolutely like you to marry after the war, and, for my happiness, to have a child and, to fulfill my last wish, marry someone who will make you happy. All my goods and all my affairs, I leave them to you and to my nephews. After the war you can request your right to a war pension as my wife, for I die as a regular soldier in the French army of liberation. Edited by Yervant1, 22 February 2014 - 08:55 AM. 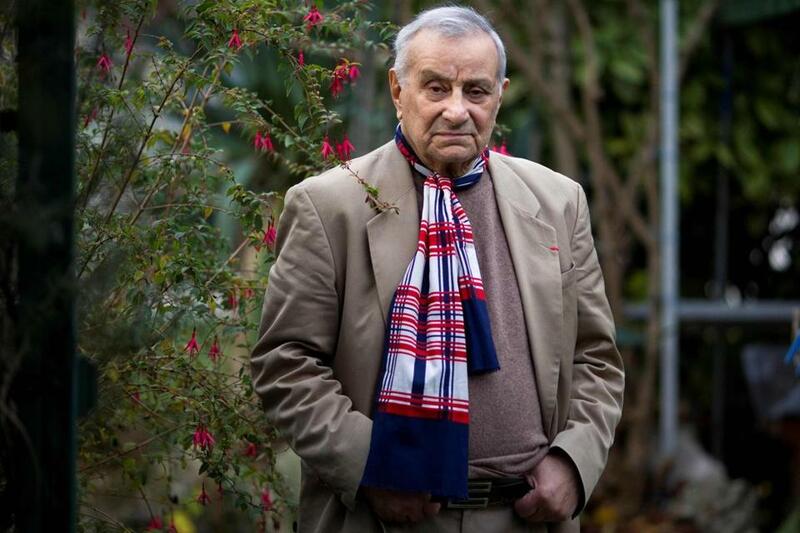 Arsène Tchakarian, the last surviving member of the Armenian-led Manouchian network, which fought alongside the French resistance against the Nazi occupiers during World War II, died Aug. 4 at a hospital in Villejuif, south of Paris. He was 101. Mr. Tchakarian, an ethnic Armenian born in Turkey during the Ottoman Empire, later received France’s highest award, as a commander of the Legion of Honor. His family announced the death but did not specify the cause. The Manouchian resistance network, named after Mr. Tchakarian’s fellow Armenian Missak Manouchian, a poet and resistance leader, was made up of immigrants from many nations that had been affected by Hitler’s expansionism — Italians, Greeks, Romanians, Hungarians, Bulgarians, Spaniards, Poles, even young German Jews who had fled to what was then a free France. Throughout World War II, the Manouchian network linked up with the local French resistance to carry out a guerrilla campaign against the Nazi occupiers, including broad-daylight assassinations and sabotage of power lines and munitions trains. Mr. Tchakarian’s first assignment was to throw a grenade among a group of Nazi soldiers. The following day, Mr. Tchakarian took part in an attack on German military police. He was also part of a small resistance cadre that assassinated Nazi SS General Julius Ritter in September 1943. Ritter had been in charge of a forced-labor program that deported hundreds of thousands of French workers to Germany to support the Nazi war effort. The Manouchian network later became better known as ‘‘L’Affiche Rouge,’’ or the Red Poster Group, after the Nazi occupiers put up blood-red posters carrying the faces of the network’s wanted members, including Mr. Tchakarian. The Germans called them ‘‘The Army of Crime’’ and focused on the fact that many of them were Jewish. In November 1943, Mr. Tchakarian had scheduled a clandestine rendezvous with a fellow resistance fighter, Olga Bancic, a Romanian Jew, at the Gare d’Orsay railway station in Paris. ‘‘She didn’t show up, as she always had without fail,’’ Mr. Tchakarian recalled earlier this year. He had seen pro-Nazi police in the area and escaped shortly before Bancic was arrested along with Manouchian and 22 other male members of the underground network. On Feb. 21, 1944, all 23 men, including Manouchian, were lined up and shot by a German firing squad at the notorious Fort Mont-Valérien on the western outskirts of Paris. (More than 1,000 people, mostly Jews, were executed at the fort between 1941 and 1944.) Because French law prohibited the execution of women by firing squad, Bancic was taken to Germany, where she was beheaded with an ax. Mr. Tchakarian fled from Paris to Bordeaux and continued the fight with the resistance. The German Luftwaffe had taken control of Bordeaux-Mérignac airport and was using it as a base for maritime reconnaissance and attacks against allied shipping in the Atlantic. Mr. Tchakarian helped provide intelligence for a 1943 raid on the airport by British and US bombers. During the spring and summer of 1944, he joined a resistance group that, along with US Army troops, helped liberate the central French town of Montargis. The soldiers and resistance fighters were greeted with kisses, flowers, wine and delirium by residents who knew by then that the war had turned against the Germans. After the war, Mr. Tchakarian returned to his previous occupation and became a master tailor near Paris. He also turned his focus to history, writing memoirs about his wartime experiences. Arsène Tchakarian was the last surviving member of the Armenian-led Manouchian network, which fought alongside the French resistance against the Nazi occupiers during the Second World War. He died at a hospital in Villejuif, south of Paris. He was 101. Tchakarian, an ethnic Armenian born in Turkey during the Ottoman Empire, later received France’s highest award, as a commander of the Legion of Honour. His family announced the death but did not specify the cause. The Manouchian resistance network, named after Tchakarian’s fellow Armenian, Missak Manouchian, a poet and resistance leader, was made up of immigrants from many nations that had been affected by Hitler’s expansionism – Italians, Greeks, Romanians, Hungarians, Bulgarians, Spaniards, Poles, even young German Jews who had fled to what was then a free France. Throughout the Second World War, the Manouchian network linked up with the local French Resistance to carry out a guerrilla campaign against the Nazi occupiers, including broad-daylight assassinations and the sabotage of power lines and munitions trains. Tchakarian’s first assignment was to throw a grenade among a group of Nazi soldiers. The following day, Tchakarian took part in an attack on German military police. He was also part of a small resistance cadre that assassinated SS General Julius Ritter in September 1943. Ritter had been in charge of a forced-labour programme that deported hundreds of thousands of French workers to Germany to support the Nazi war effort. 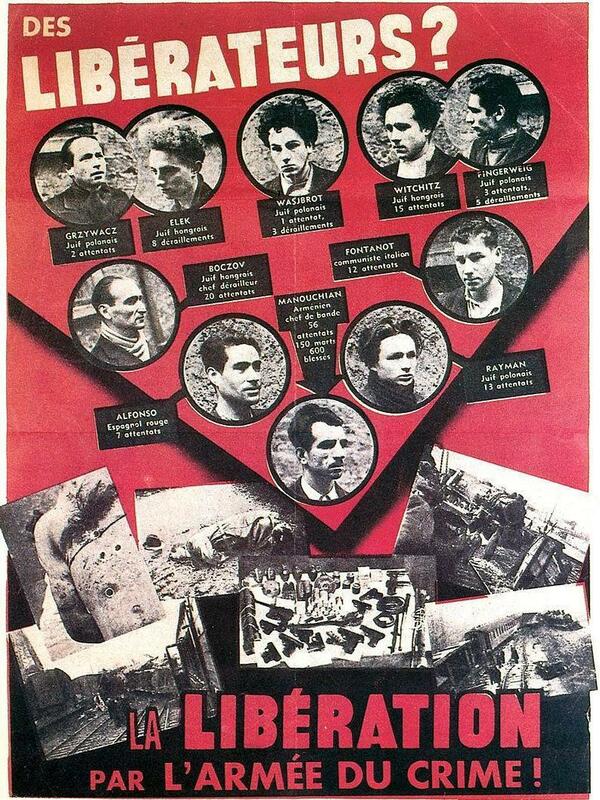 The Manouchian network later became better known as L’Affiche Rouge or the Red Poster Group, after the Nazi occupiers put up blood-red posters carrying the faces of the network’s wanted members, including Tchakarian. The Germans called them “The Army of Crime” and focused on the fact that many of them were Jewish. In November 1943, Tchakarian had scheduled a clandestine rendezvous with a fellow resistance fighter, Olga Bancic, a Romanian Jew, at the Gare d’Orsay in Paris. “She didn’t show up, as she always had without fail,” Tchakarian recalled earlier this year. He had seen pro-Nazi police in the area and escaped shortly before Bancic was arrested along with Manouchian and 22 other male members of the underground network. On 21 February 1944, all 23 men, including Manouchian, were lined up and shot by a German firing squad at the notorious Fort Mont-Valérien on the western outskirts of Paris. (More than 1,000 people, mostly Jews, were executed at the fort between 1941 and 1944.) Because French law prohibited the execution of women by firing squad, Bancic was taken to Germany, where she was beheaded with an axe. Tchakarian fled from Paris to Bordeaux and continued the fight with the resistance. The German Luftwaffe had taken control of Bordeaux-Mérignac airport and was using it as a base for maritime reconnaissance and attacks against allied shipping in the Atlantic. Tchakarian helped provide intelligence for a 1943 raid on the airport by British and US bombers. After the war, Tchakarian returned to his previous occupation and became a master tailor near Paris. He also turned his focus to history, writing memoirs about his wartime experiences and about the Turkish massacres of Armenians when he was a child. 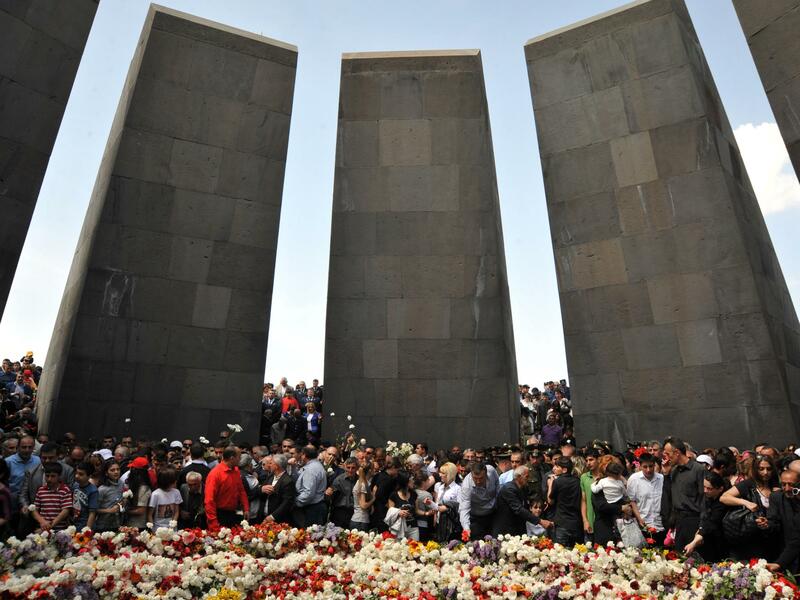 Most Armenians, including Tchakarian, described the killings as “genocide,” although Turkish authorities have continued to reject that term. Arsène Tchakarian was born in 1916, to Armenian parents in what is now Sapanca, Turkey, then part of the Ottoman Empire. The Ottoman Turkish purge of Armenians forced his family to flee first to Bulgaria and then to France. Young Arsène, who adopted the French spelling of Arsène, arrived in Marseille in 1930 as an apprentice tailor. In 1937, though not yet a French citizen, he was conscripted into a French army artillery unit and fought the Nazis until they occupied France in June 1940 and he was demobilised. He had come to consider France his home and was determined to fight on. Through Armenian connections, he soon found the Manouchians, the immigrant resistance group with nothing to lose. Tchakarian was granted French citizenship in 1958. 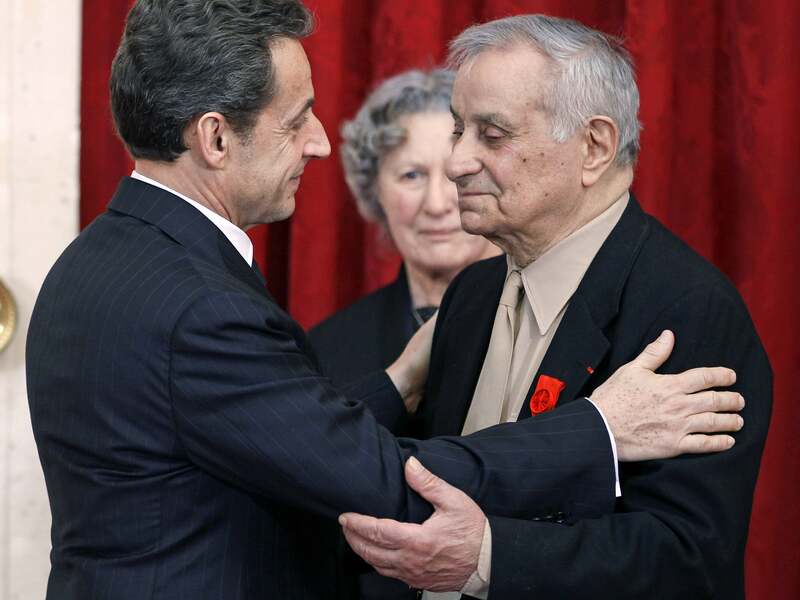 In 2005, he was made a knight of the French Legion of Honour, later upgraded to officer and finally to commander – France’s highest award – last year. His first wife, Bertha Christiane, predeceased him. Survivors include his second wife, Jacqueline Tchakarian, and four children. A complete list of survivors could not be confirmed. In one of his last interviews, Tchakarian was asked about his time in the resistance.